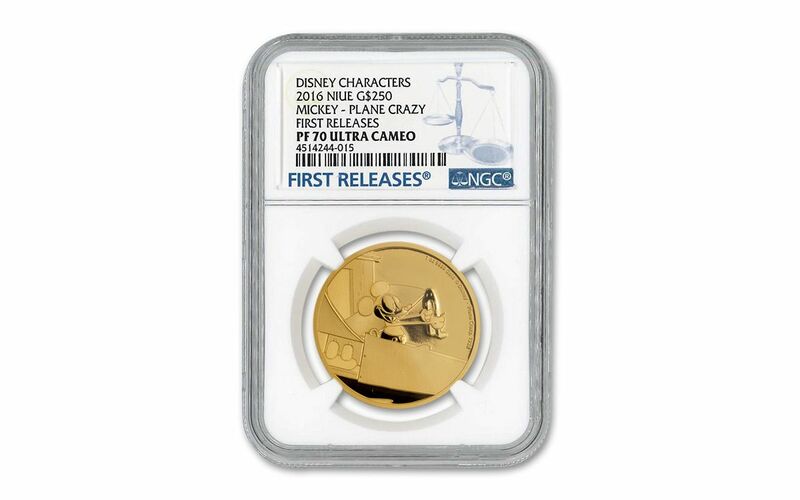 You'd Be "Plane Crazy" to Miss out on this Mickey Mouse Gold Proof! 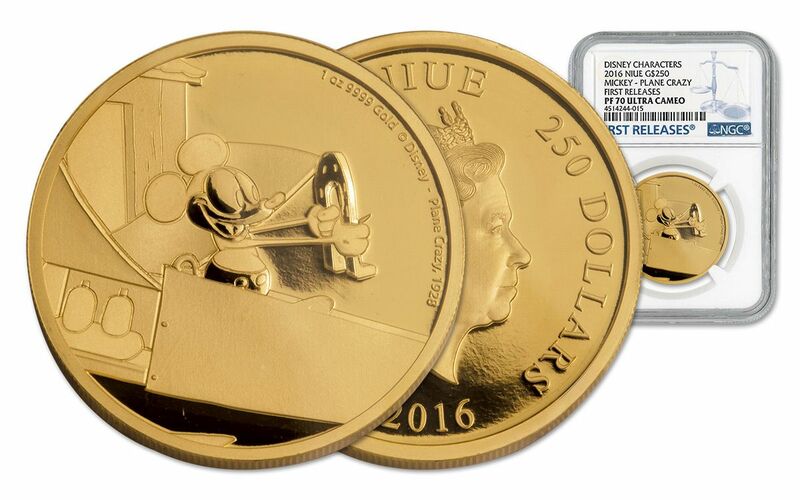 Take a look at this 2016-One Ounce Gold Plane Crazy Proof, the third release in the "Mickey Through the Ages" series from the New Zealand Mint! This coin is certified both perfect Proof-70 Ultra Cameo (PF70 UC) and First Releases (FR) by Numismatic Guaranty Corporation (NGC) and comes securely encapsulated in an acrylic holder to protect your proof's perfect status forever. 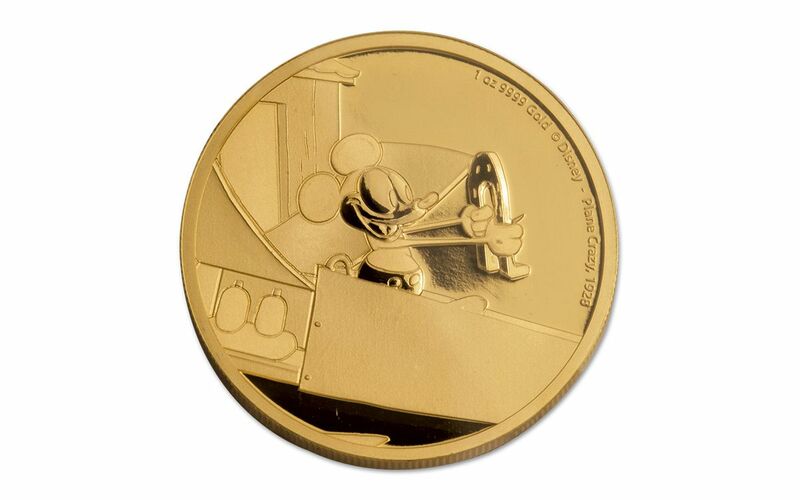 The reverse features Mickey holding Minnie's good luck horseshoe from the film, and shows inscriptions including weight, metal, purity, Disney trademark and the series title. 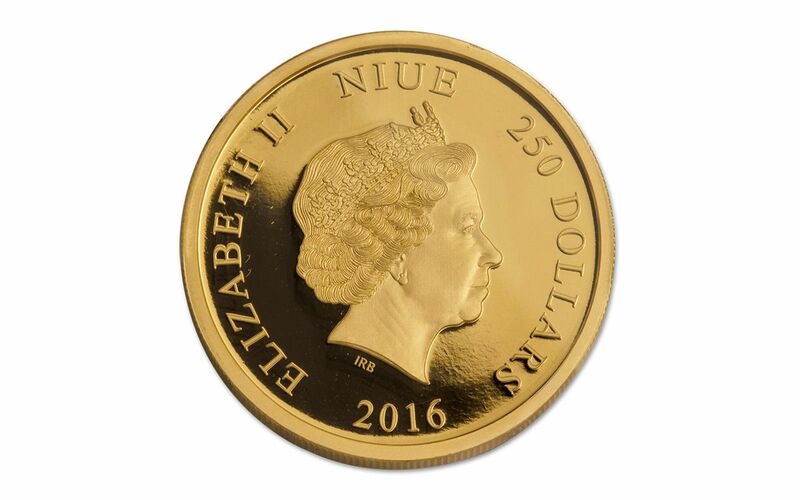 Only 500 proofs were minted in one-ounce of 99.99% gold. It comes in a wood presentation box and is also accompanied by a numbered certificate of authenticity from the New Zealand Mint. Originally released as a silent film in May of 1928, "Plane Crazy" wasn't popular right out of the gate. However, when "Steamboat Willie" premiered two months later, audiences wanted to see (and hear) more of Mickey! So, a soundtrack was recorded for "Plane Crazy" and the short was re-released in the spring of 1929, becoming an instant hit. Besides being Mickey and Minnie's very first cartoon, "Plane Crazy" is also notable for being the first animated film to use a camera move. As Mickey loses control of his plane, he runs down all sorts of traffic before he finally takes off into the air. To achieve the shot, the Disney animators piled books under the spinning background to move the artwork closer to the camera, achieving a kinetic sense of motion. Just another example in a long line of Disney innovation! Don't miss out on this perfect gold proof. Secure yours today!